Responsive web design is no longer a luxury that only big corporations can afford… It is a technology that is reachable for any business and that is not considered as optional for your online presence. This has been true years ago and it's definitely more true today! New websites built today are now responsive by default. If a website today is not responsive, they will suffer tremendously negative effects such as: poor rankings in SERPs, high bounce rates from users and wasted costs. 40% of people will switch to a different search result if the first one is not mobile friendly. 48% users say if the business site of a company is not mobile friendly, they’ll take it as an indication that business is simply not caring. Those two points alone should give you an idea of how serious it is that a website should be responsive from the get-go. With mobile devices rapidly surpassing devices in terms of internet usage, it is simply a shot in the foot for any business to skip making their websites responsive. → Already thinking about taking your website presence to the next level? 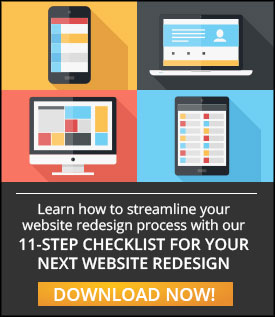 Download this checklist to help you streamline the process! Ok, you've got my attention... I have a website, how do I test it for responsiveness? If we talk about a standard screen size for each platform (desktop, laptop, tablet and smartphone), most likely we won’t reach an agreement. There is no real one-size-fits-all solution, making this new technology a shot in the dark. We have Androids, iPhones, iPads, Surface tablets, MacBooks, Chromebooks and the list goes on… Each with their own screen specifications. It would be tough to test for every conceivable device. Responsive web design came from the need for websites to deliver a mobile experience as good as its desktop counterpart. The idea is that a website should be able to do that on any device. Of course, as stated above, it's impossible to test on every device there is. The solution is to base the responsiveness mainly on screen size. While there are a lot of other factors like retina displays, very large screens and device capabilities, the foundation lies in allowing a design to adapt to displays at any given screen resolution. You've probably seen some websites that look like a beefed-up version of a mobile website design. This is because they went for a mobile-first design and simply added enchancements as the screen resolution went up. Google Material - This is a vault of information on responsive design such as breakpoints, grids, interface patterns, etc. Google Resizer - This is a simple, quick and spot-on way to test how your website looks on different devices. It shows your site across the most common desktop and mobile resolutions. Google Mobile Friendly Test - This tool will analyze your site and will show you how Googlebots see your page. It will also tell you how fast (or slow) your site loaded in their tests and give you an estimate of how many visitors your site could be losing because of it. Alternative Option To Google Mobile Friendly Test - If you want to see your site across a few more devices, besides just an iPhone or an iPad, this site will provide you with a few more options, such as Nexus Tablets and more. 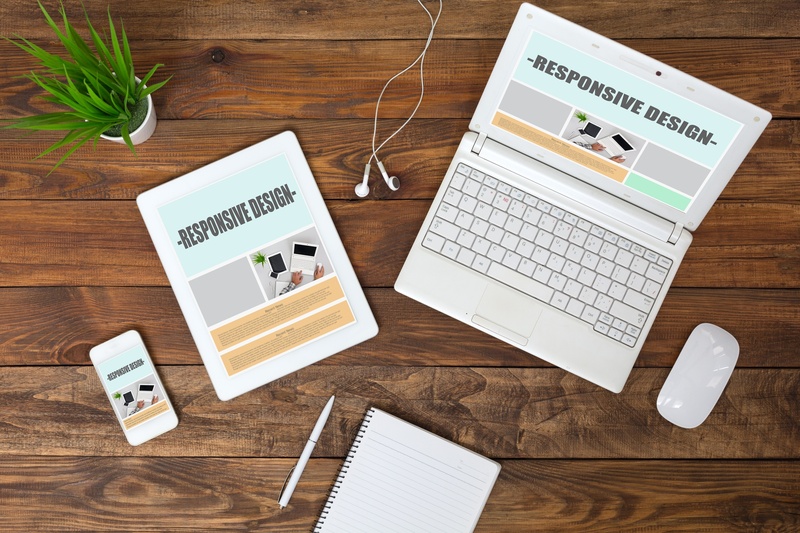 With the ever-growing demand for responsive design on businesses’ and final users’ part, it is hard not to acknowledge the importance of a mobile-friendly website. When providing a good UX, keeping your user happy and coming back is the ultimate goal, and responsive design can help you achieve this objective. Is your website under performing? Are you unhappy with the layout? Learn more about our web design service here and contact us today! Take our website to the next level?